In case you’ve got a little money lying around and don’t know how to spend it, Jabong’s sale has got you covered. To be specific, the United Colors of Benetton offerings have been slashed up to 70% off, and some great pieces are up for grabs. The weather is changing & we could use a wardrobe refresh as well. Scroll on to shop my favourite buys from the sale! This skirt is your next classic, wear-with-everything piece. Pleated skirts are my favourite kind, and the midi length makes it great for summer and monsoon alike. Blush is the next big colour for Spring 2016, so get on the bandwagon earlier! Buy now at Rs. 840. Meet your next all-day dress. Just because summer is over doesn’t mean you should stop wearing tropical prints. 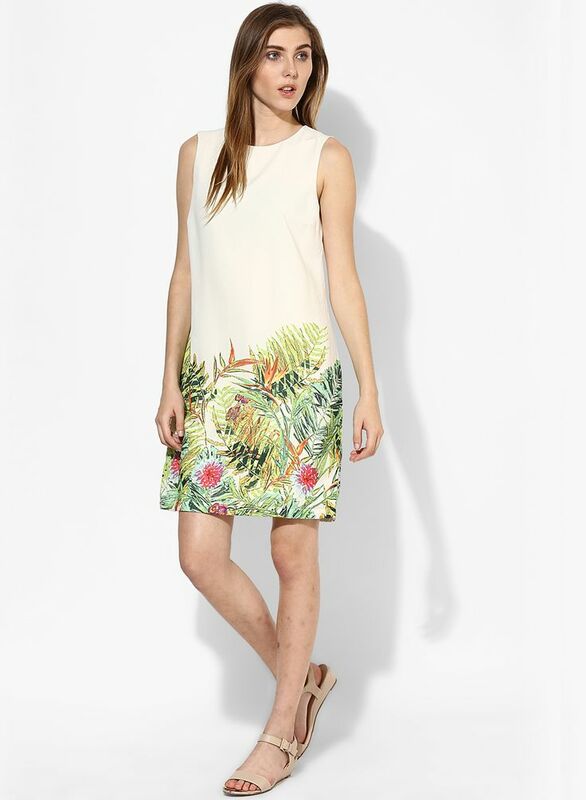 The leaf print here is subtle enough to be worn through the year, injecting a little colour into your outfit. Plus, the shift silhouette makes it versatile for layering. Buy here for Rs. 990. Crop top meets appropriate lengths in this blue number. Add a monochrome print pair of trousers and a black blazer for your next dinner outfit. This is summer clothing at its best. I love how all the separates from UCB are practical, and great building blocks for your wardrobe. Buy this at Rs. 899. Can we talk about this bodycon dress? The lace back veers it into party wear by adding a bit of an edge, while the front keeps it casual and versatile. The t-shirt material ticks the comfort box too. And at 70% off (yes, 70! ), this is something you don’t want to miss. Grab it before it goes, it’s Rs. 870! No shopping roundup is complete without a button-down for me. 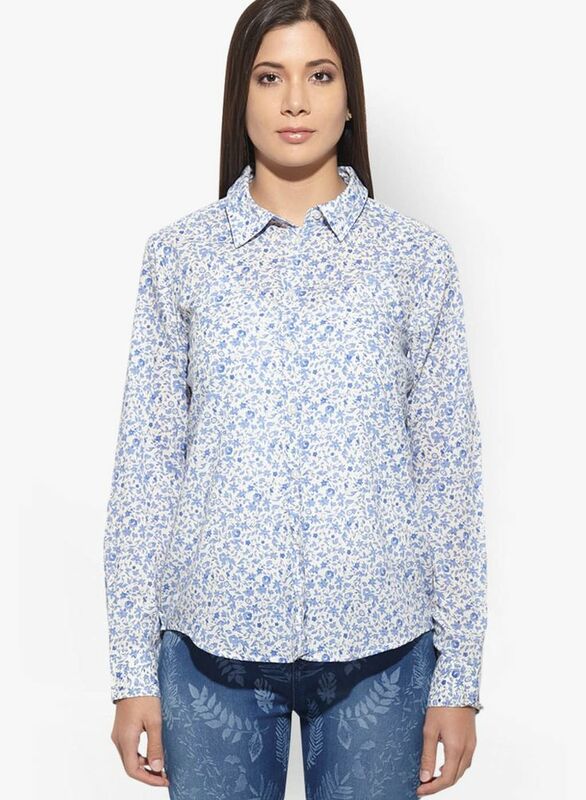 The delicate flower print and relaxed fit make it a winner. Long sleeves are for rolling up + a cotton shirt is the only thing you feel like wearing on a hot Chennai day.